Yoghurt is healthy, isn’t it? It’s meant to be, but pick up a tub of yoghurt in the supermarket and have a look at the label – fructose, corn syrup, artificial sweeteners, gelatin, artificial flavours, colourants and preservatives are just a few of the added ingredients you may find. Real yoghurt is made up only of milk and live cultures – that’s it – but it’s hard to find and expensive. ‘Make your own’ are words that fill one with a sense of dread as often as they can fill you with hope but when it comes to yoghurt– it’s all good news. 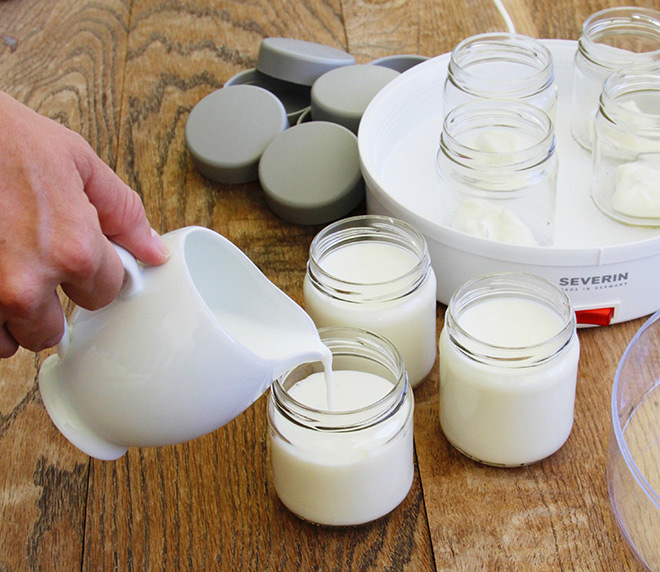 There is almost nothing simpler than making yoghurt with the Severin Yoghurt Maker. It’s quick, really easy and, of course, it gives you control over the ingredients, which means that you can vary the sweetness and variety to your liking using things like honey and fresh berries. It’s also a really lovely way to experiment with seasonal fruits and a variety of flavours throughout the year. 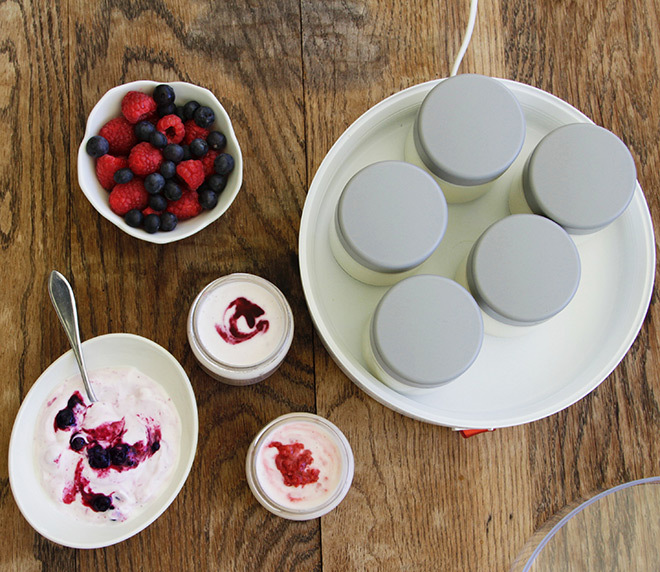 This yoghurt maker not only puts healthy yoghurt into your fridge, but also saves you money and lessens your impact on the environment while doing so. Why is yoghurt good for you? Healthy yoghurt is a super food. It can help you feel fuller for longer and keep your blood sugar stable. Its high calcium content can boost your bone health and ward off osteoporosis. Probiotics have also been linked with reduced risk of colon cancer, improved immune system function, alleviation of gastric discomfort and the promotion of absorption of vitamins and minerals. On top of all of that, yoghurt is a convenience food that you can eat at home or grab on-the-go. 1. Ensure the glass jars are clean and dry. 2. Add two teaspoons of natural yoghurt to each jar. Choose as natural a yoghurt as you can find and one that doesn’t contain any artificial additives. 3. Place around a litre of milk into a heatproof jug and heat for a couple minutes in the microwave or on the stove. Heat it to around 30 degrees – you should be able to put your finger into the milk without it scalding. This step can be left out and cold milk used. This will just increase the cooking time by a few hours. 4. To get the best results use full cream UHT milk. Non UHT milk can be used, but must then be heated to 90 degrees before cooling to 30 degrees. Low fat or skim milk can be used, but you will end up with a runnier and less creamy end result. 5. Add the milk into the jars with the yoghurt and stir well to combine. 6. Tightly close the lids of the jars and place all the jars into the machine. 7. Plug in the machine and swivel the memory dial on the lid to remind you of either the starting or finishing time. I would, however, recommend setting a timer on your phone or stop watch to give you an accurate reminder. 8. Once the required time has elapsed (5–6 hours using warm milk, 8–9 hours using cold milk) remove the yoghurt glasses from the machine. If you would like to add any flavouring or fruit, add it into the warm yoghurt now. Remember to set aside one of the jars as a starter culture for your next batch – don’t add anything to this jar. Place the jars into the fridge. Once cooled you will have perfectly delicious, creamy yoghurt! Why use the Severin Yoghurt Maker? You are guaranteed fail proof thick yoghurt every time. The yoghurt has a creamier, smoother flavour than shop-bought yoghurt. You control what goes into your yoghurt so you know there are no surprise additives or preservatives. You get to be creative and make a variety of delicious flavours. It’s easy to use, quick to clean and saves you money. The storage jars are the perfect serving size. The machine is quiet and compact so it won’t take up a lot of space in your kitchen. 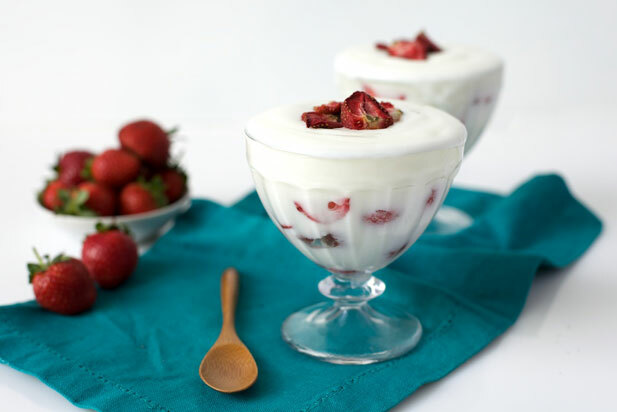 Use freeze-dried or fresh fruit (whole, chopped or pureed) in your yoghurt. Winter – apple, banana, gooseberry, citrus, pear, guava, grapefruit. Spring – apricot, mango, banana, pineapple, strawberry, cherry, grapefruit, citrus, pineapple. Summer – apricot, strawberry, blueberry, cherry, grape, granadilla, guava, figs, nectarines. Autumn – peach, pear, plum, pomegranate, gooseberry, banana, mango, paw-paw. Add honey or a natural sweetener like xylitol or pureed banana to add some sweetness. Add cinnamon, vanilla, chai or cocoa or even fresh lavender for an unusual flavour. A healthy, homemade bowl of yogurt strewn with crunchy granola and nuts or a generous dollop in your favourite winter soup, these are some of the simplest pleasures. 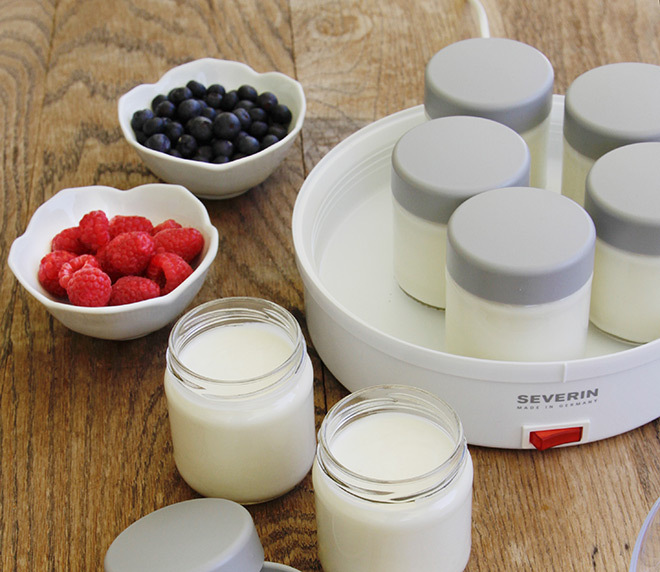 With the Severin Yogurt Maker, how much and how healthy it is, is entirely within your control.